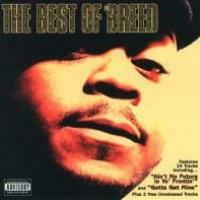 MC Breed's most successful album, Funkafied, an album that astonishingly peaked in the Top Ten of Billboard's R&B chart, is also his most unique and arguably the turning point in his dynamic career. 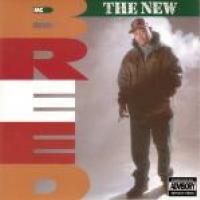 Breed's previous album, The New Breed (1993), featured the former Midwestern rapper adopting a West Coast sound, collaborating with such big-name Cali artists as D.O.C., Warren G, and a young 2 Pac. Then, the album Breed would follow up Funkafied with, Big Baller (1995), would find him heading south to Atlanta to hook up with Too $hort and begin a new era for the always-on-the-move rapper. Funkafied fits somewhere between these two albums. It doesn't feature any of the West Coast figures who helped make The New Breed such a breakthrough album for him, and it doesn't feature Too $hort or any of the Atlanta posse he would begin working with in successive years. Instead, it features no one particularly noteworthy besides one big name: George Clinton. And you shouldn't overlook that fact if you want an idea of what Funkafied sounds like. Just as the album title and cover art might lead you to presume, this is Breed's excursion into seriously funky territory. He isn't just rapping over funk samples like he did on previous efforts; he's submersing himself in funk -- live funk -- attributed largely to keyboardist Gerald Jackson and bassist Shorty B, who are both given special recognition for their efforts on the album's back cover. This is a dazzling album, for sure; however, many of the thousands who bought it during its first week of release didn't pick up Breed's next album, Big Baller. And that's not necessarily because this is a disappointing album; rather, it's because they were expecting The New Breed, Pt. 2, which this clearly isn't. Commend Breed for making such a creative album as this. It's undoubtedly the most idiosyncratic, and funky, release in his mammoth catalog. From here out, he would represent the Dirty South, for better or worse.